Rinse and soak hiziki or arame in warm water to cover for 15 minutes. Discard soaking water. Place hiziki or arame in a small saucepan and simmer 10 to 15 minutes in 1 cup water. Drain, rinse and place in a mixing bowl. Place blanched vegetables in the mixing bowl. Cook pasta as package directs, rinse and drain. 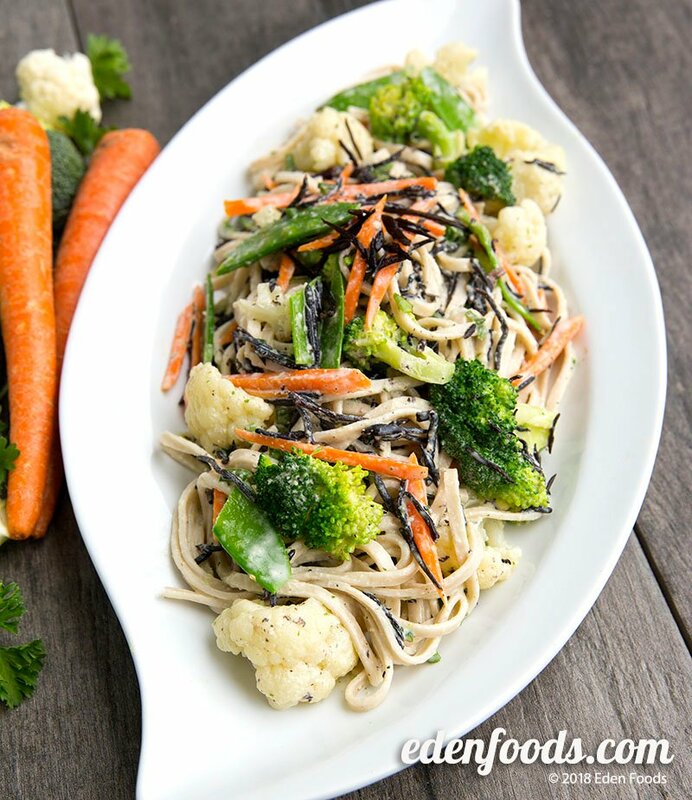 Mix pasta, sea vegetable, blanched vegetables, and green onions. Prepare the dressing by mixing all ingredients in a blender. Add to the salad and mix well. Chill 1 hour before serving.